It is 3 months since I last wrote. It doesn’t seem that long ago to me. Today I posted the Advocates 2012 report and felt it necessary to write again. The luxury for pensioners is that we should not feel pressure to meet deadlines but deadlines are a means of getting things done. I am changing the name of this blog from Thursday Update to AFTR Update and will blog when specific events involving and affecting the catchment are brought to my attention. This may be weekly particularly during the angling season but I see no point in writing a blog to meet a deadline. I am neither an editor nor reporter. It’s been a good summer for Brown trout anglers both on the lake and in the river. December saw the river with a good stock of Browns and even running Rainbows but a lot of Rainbows had spawned and were returning to the lake. There have been some keen anglers out at dark on the river having success but some are also successful during the day. Graeme Nahkies had a good days fishing on the lake and was very pleased with his catch. 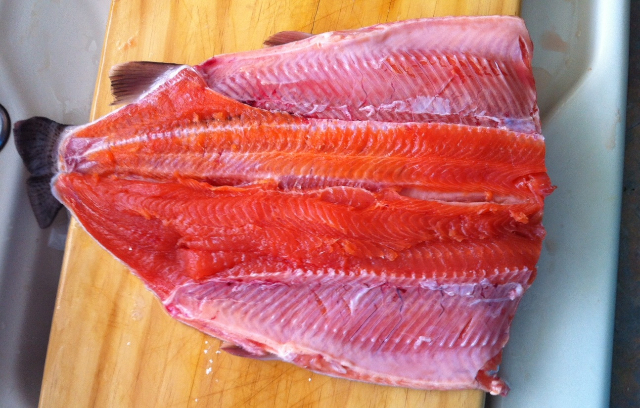 The last photo in this sequence of 6 shows the olour of trout we expect to catch. Photo 1 shows the reason for the excellent colour. 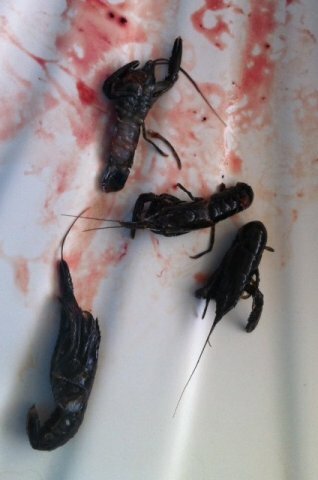 This fish was one of the 5% we are told that feed on koura (freshwater crayfish.) But in the gut of trout I have caught in the Lake this year there is evidence of trout feeding on smelt. 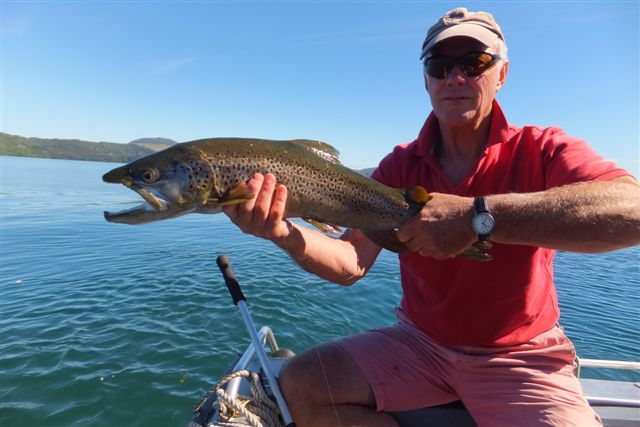 Richard Kemp managed to boat this fine brown trout which he then released. There have been large browns caught in the river as well. 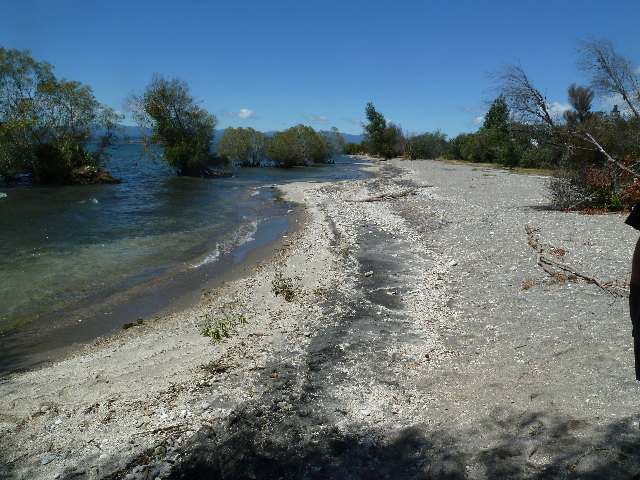 The photo of Kuratau beach is a problem area as a result of sand depletion (sand being moved by Lake currents away from the beach). Waikato Regional Council on a field trip I attended earlier this month explained that they are involved in returning sand to this beach to secure property. It seems to me that as willow trees in the lake represent a significant and costly problem then it would be a good idea when we see a willow sapling growing in the lake then we should pull it out. 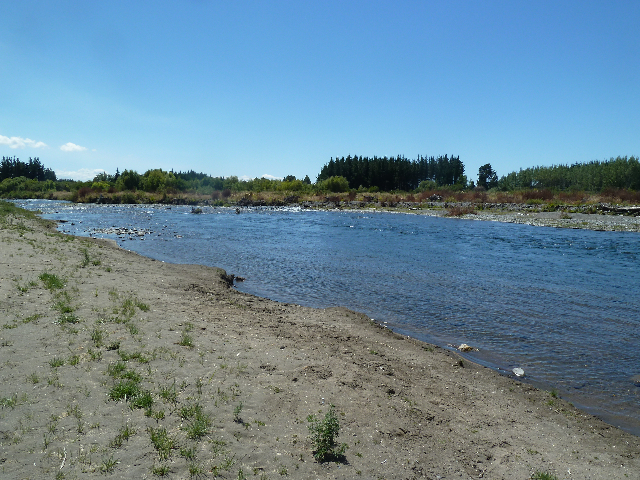 A venue on the field trip was to view the work being done by WRC on the Tongariro River. The 4th photo shows the pool some call the new Honeypot. nymph anglers do well here. The problem is that the stumps of cut willows are everywhere and unless one is lucky you lose a lot of gear. Unfortunately willow in water does not rot. Apparently it becomes iron hard so the future to get rid of the snags is for the river to deposit sand and cover the snags at which time it will be good fishing water again. 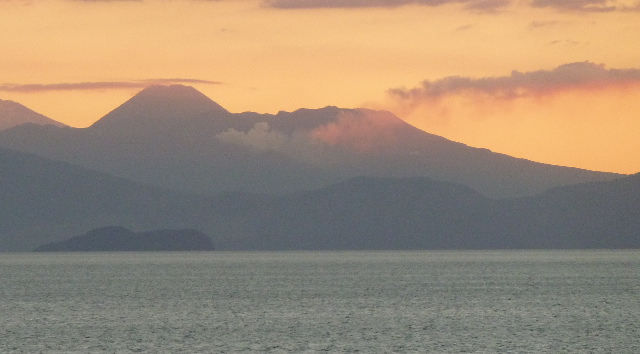 The last photo is of Mt Tongariro steaming away or is it erupting. Last Thursday morning I went through to Ruapehu and at 9.00am that morning there was a lot of activity as we went past without camera. On our return about mid day it was sending up an insignificant plume. It’s interesting. The PhD study into the food chain involving Phytoplankton, Zooplankton, smelt is set to start tomorrow, Friday March 1. It will be 3 years before we get results. It will be good knowledge in our understanding of the Lake.